Becoming a mother has been life-changing. It's been hard, tiring, gratifying, beautiful, challenging, scary and a thousand other things that only a parent would ever understand. 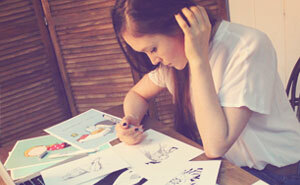 It is these life-changing experiences that have inspired me to draw my everyday life as a stay at home mom. Whether it's the mundane tasks like doing laundry or the exciting moments of James', my baby boy's, first steps, I want to put it down on paper so that I can better cherish these fleeting moments that are often overlooked. Being a stay at home mom can be incredibly lonely. 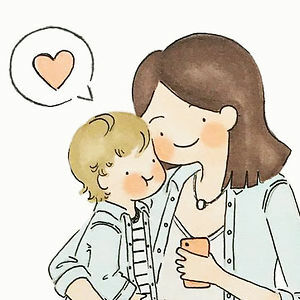 I like to think that by drawing life's simple moments, I can connect with other mothers and help them feel less alone. By doing this, I feel less alone, too. 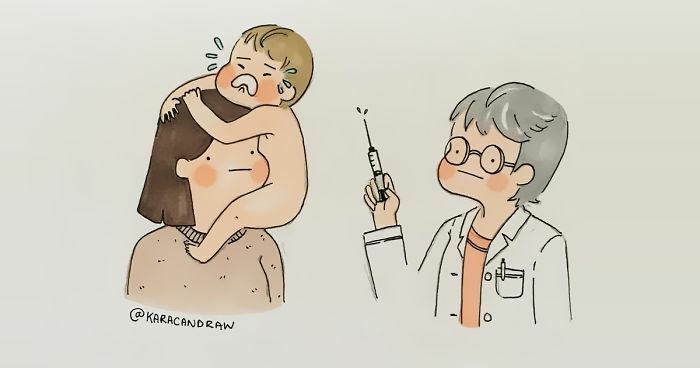 It's a win-win situation and I have been able to connect with many lovely parents and fellow parent-illustrators through my Instagram account. My wife still attempts to do this with our daughter, who is 9. These drawings are so simple, but that's whats makes it so beautiful! #4 I Can't Be The Only "Bad" Parent That Doesn't Watch Age Appropriate Things With Their Kid. I Mean He's Only 18mo, He Can't Possibly Understand What That Dragon's Doing, Right!? #6 Colouring With A Two-Year-Old Like, "Please Don't Touch Me With That Marker"
I have no idea why, but I enjoy how her pants and the baby's shirt is colored. I honestly hope I never have to travel with my baby/toddler by airplane. Car rides are tough enough. These are my most favorite precious times with my son. Heart melting! Did she just say "tiny human"??? My daughter recently taught me how to 'dab' and 'floss'. I am officially cool. I love this! And the her inner Shakespeare! A child helps you remember how beautiful and amazing our world is. As a former modern cloth nappy (diaper) mumma, I totally understand. They're so darn cute! She looks like Rey from Star Wars! Looks like great fun! Can't wait to do this with my little one! Awe I miss the showers with my kids when they were toddlers.... Water = pure joy for a child. The best times! Nursing is a beautiful relationship. It actually releases hormones that make you and baby sleepy so nursing baby to sleep and naptime with baby is perfectly natural. so i think this might actually be a cultural misunderstanding becuz ive seen this happen when translating from spanish to english. sometimes the words we think we r using correctly in english r actually not right at all and end up sending the wrong message. she might not be using pathetic in the way we use it in the english language, she's actually french and might be using it to signify being fussy and crying and thought the word pathetic fit the bill. for example as i mentioned about spanish you can ask someone not to bother you by saying "no me molestes" but in english molest means a wholllllle other thing than it does in spanish. i hope this is the case as all the artists other comics indict a kind and loving mommy! A beautiful space to read! Yay! Go baby. I still have my blankie. I m 22. But ya I don't sleep with it. It has a panda on it. Was he born with 49 cm or grown 49 cm in two years? Chubby babies are the best! That's making me nervous! Don't drop that hammer sweetie! I'm a stay at home mom, drawing life's little moments, mostly during nap time. God I'm so glad I decided never to have children. Oh and save your responses of glad you didn't have children also. I've heard it all. I mean, I am glad I didn't have children. But I don't know why you're so passionately against hearing it. I'm against hearing how I'm going to die alone. How could I be so selfish. What's wrong with you. How could you not have children. How could you be so selfish. I'm 54 I've been hearing that for over 30 years and I'm tired of hearing it. That's why I'm so passionately against anybody else saying anything to me about it. Especially the dying Alone part.